Welcome to Introduction to Allegory! 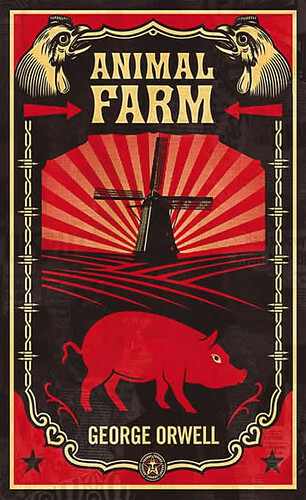 In this online course, you will learn about and explore the literary device known as allegory using one of the most well regarded and famous allegories in the English language, George Orwell's Animal Farm. This course teaches students not only what allegory is and how to recognize it, but also how to read read a story allegorically, analyze allegories for their intended meanings, and create their own allegories. This course has been designed to be part of the Middle School Program curriculum at Happy Kids in Taipei, Taiwan, however any student in the world is free to take the course and submit work for feedback. Teachers interested in this content are welcome to borrow from this course as much as they like as long attribution is given when necessary. Before taking the course, please review the course syllabus and recommended materials information. When you are ready, click the pig below to enter the course and begin Module 1.